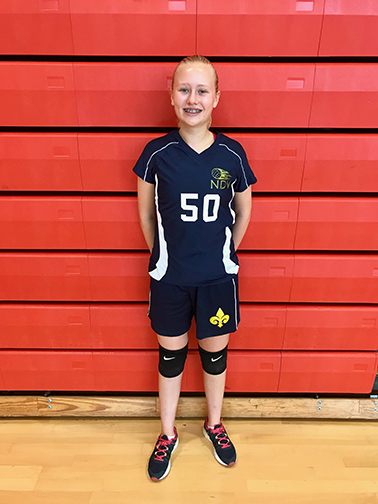 Congratulations goes to eighth grade student Reese W., who was selected by her coach to represent NDV at the annual 8th grade girls’ Volleyball Achievement Series. 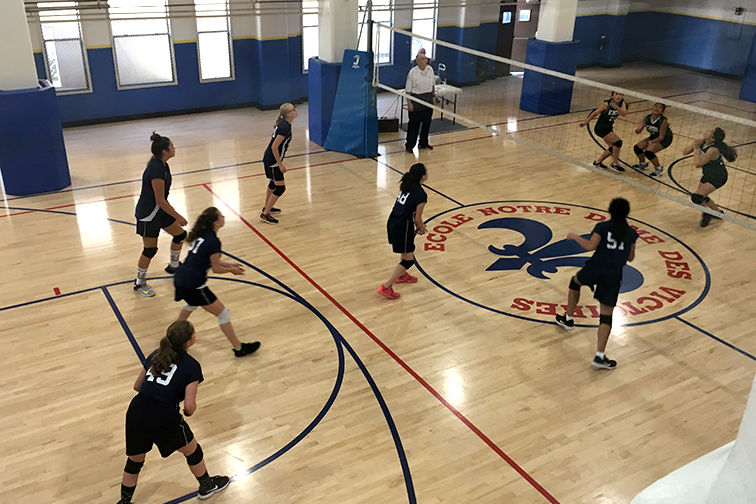 She was chosen for showing team spirit and cooperation with coaches and teammates and for reflecting well the spirit of CYO sports. The game will be played on Sunday, October 28th, 2018 at 1:15 p.m. at Mercy High School in San Francisco. Congratulations, Reese! When Reese isn’t playing volleyball, here are some fun things to know about her. 2. Best memory at NDV? The 6th grade Yosemite trip. 3. If you could be any animal in the world, what would it be? A dog because they’re fun, playful and loving. Listening to music and cooking. 5. If you had to change your name, what would it be?